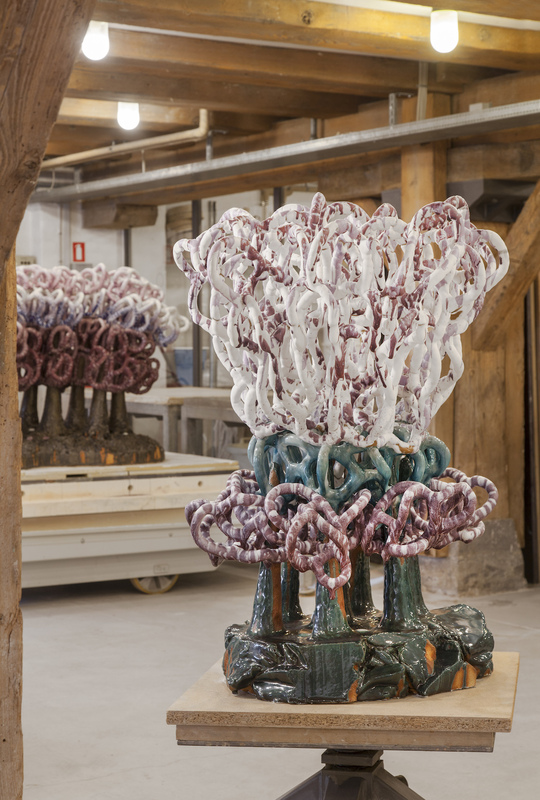 For 30 years, Bente Skjøttgaard’s work has pushed the limits of ceramic and glazes to new heights. 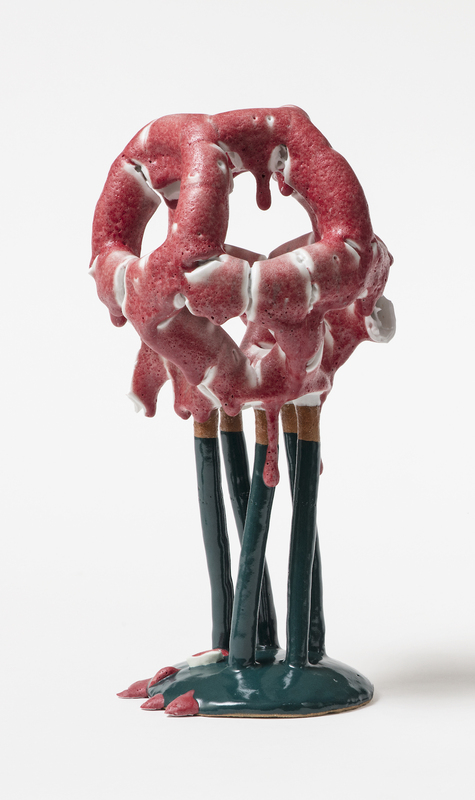 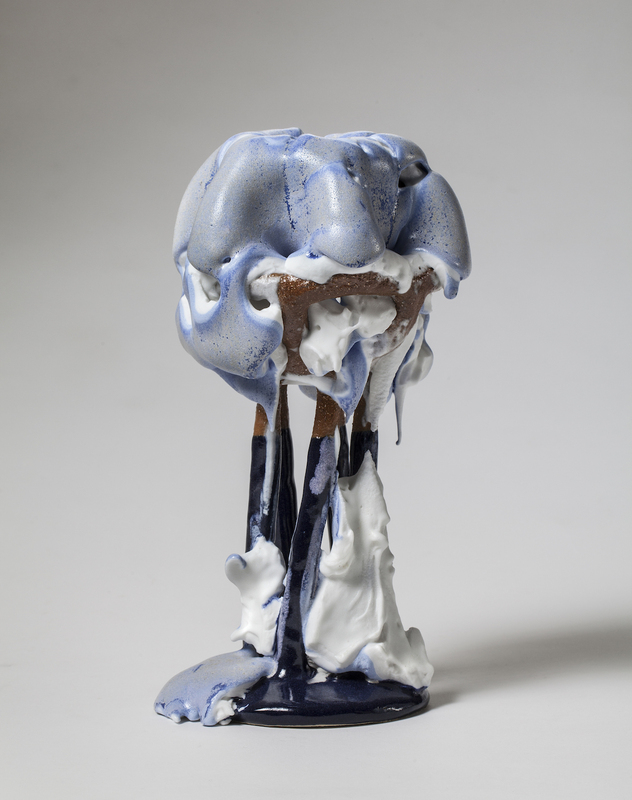 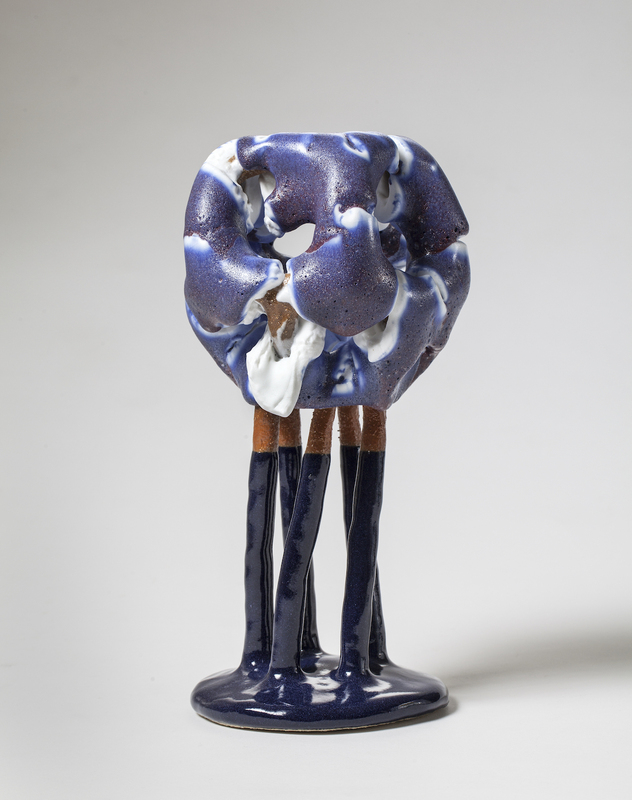 She approaches ceramics as an explorer, producing artworks that are developed via trial and error, revealing only the richness of the clay and enamel of which they are made. 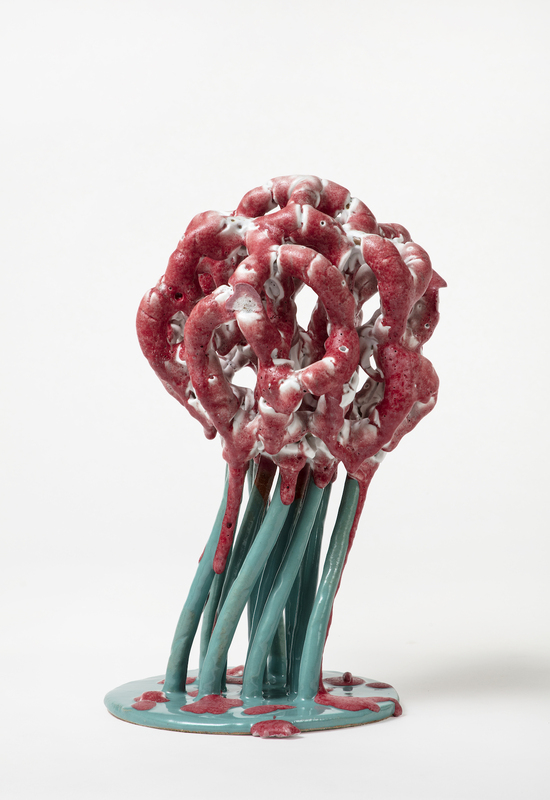 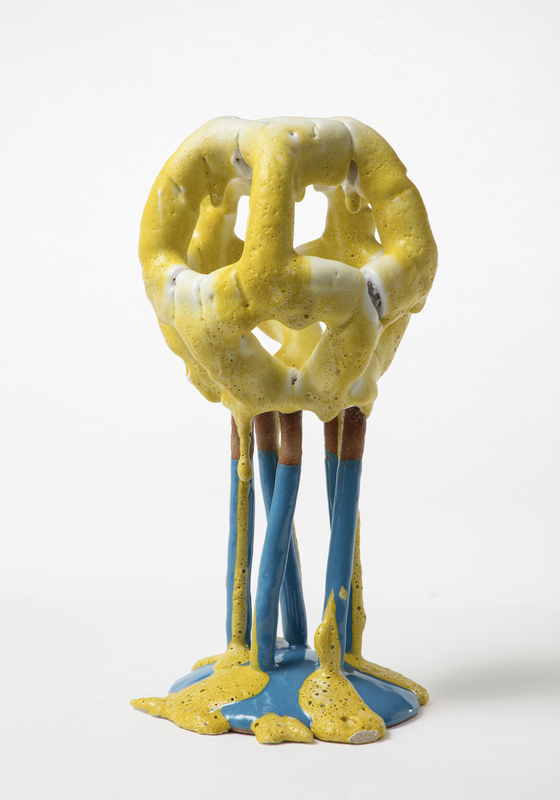 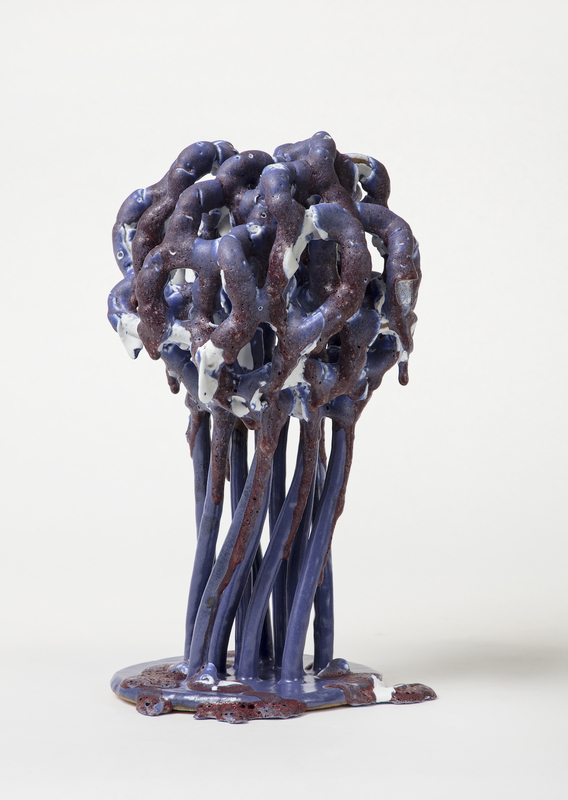 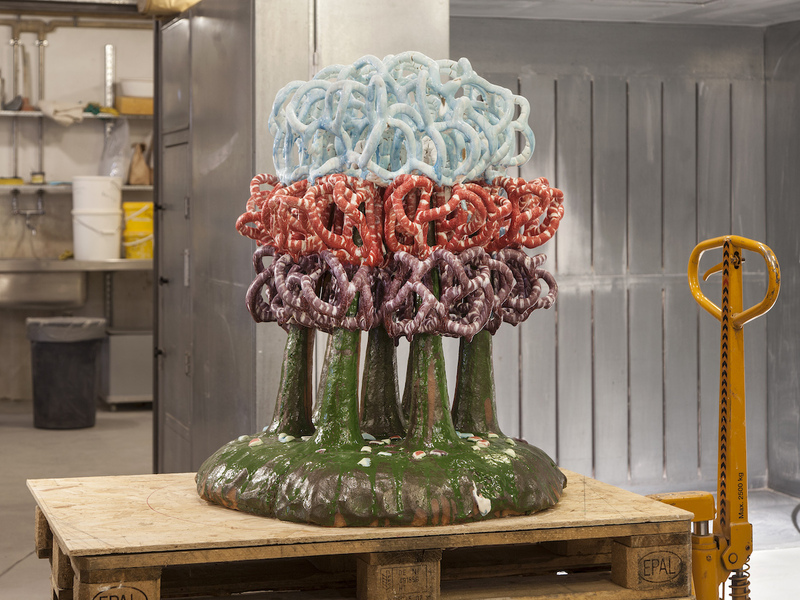 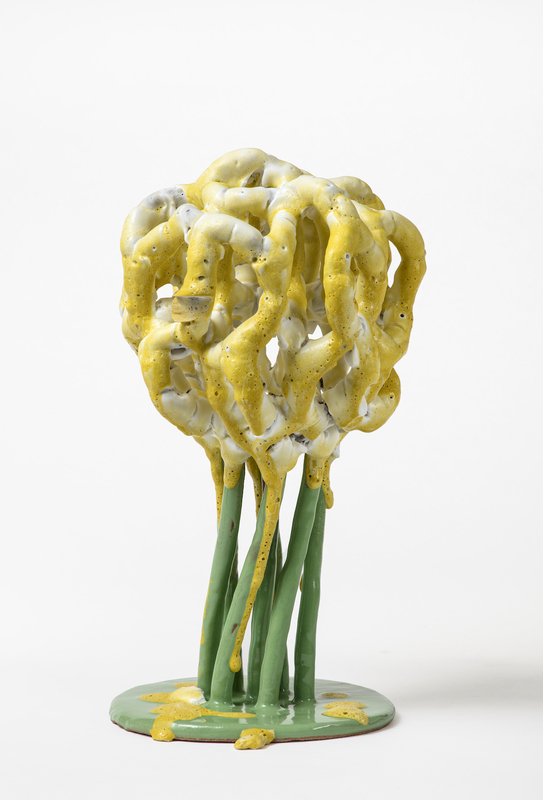 Deeply engaged with her medium, Skjøttgaard challenges herself and the material in equal measure in each new working process.Inspired by principles of nature, her abstract and organic sculptures are structures onto which she expresses her fascination for glazes. 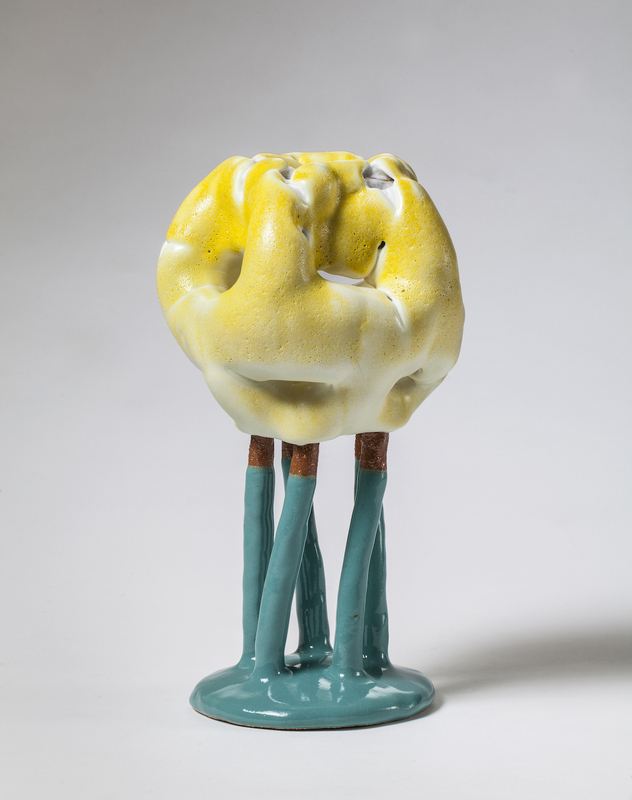 By working over many layers of glazes Skjøttgaard is able to obtain a soft, fluffy texture like a thick and unctuous sugar coating. 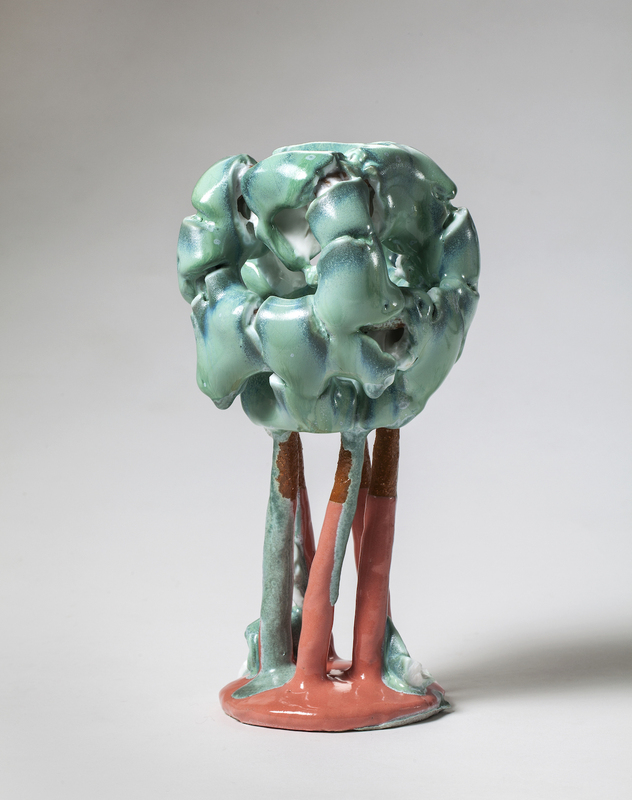 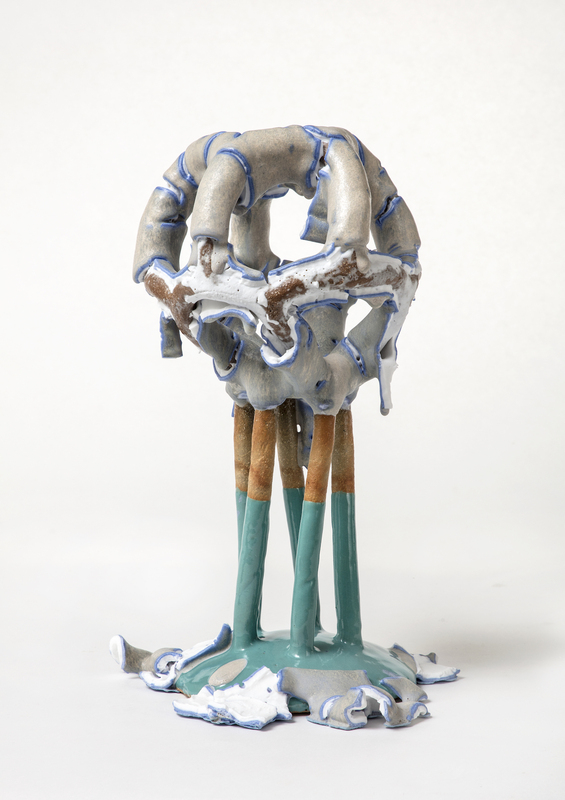 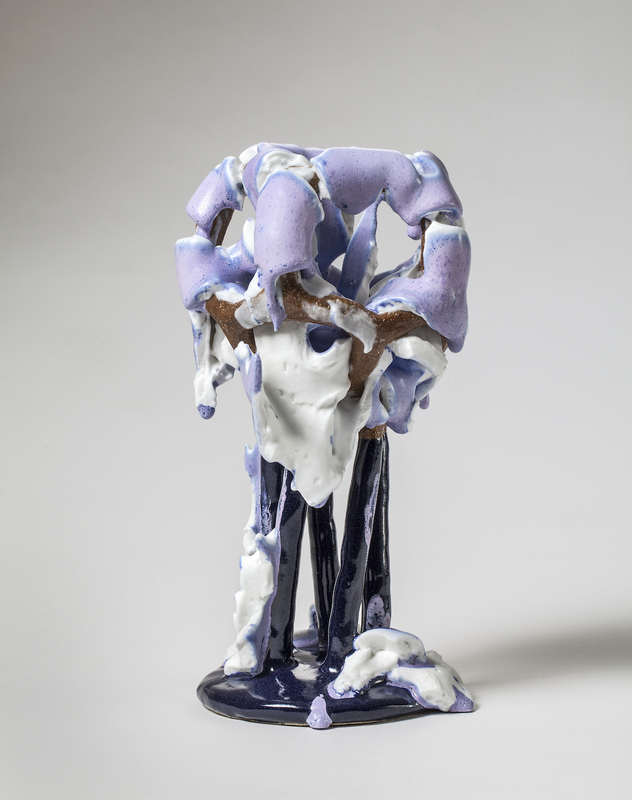 Her sculptural pieces resemble cloud formations, translating the versatility and lightness of clouds into heavy stoneware and hard glazes.Her work is both abstract and intuitive, giving view onto an idiosyncratic and figurative universe which oscillates between the kitsch and naive to the fantastical and dramatic.